We continue to focus on what has been announced about FIFA 15 recently. Today we look at the new “Agility and Control” video as now in FIFA 15 you will get closer control and more realistic player movement, new ball physics and crunching physical challenges. Watch the video and learn more here. Captured from FIFA 15 gameplay, see closer control and more realistic player movement, new ball physics and crunching physical challenges. 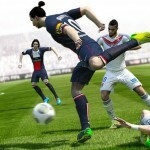 In FIFA 15, leave defenders for dust and use the ball like the world’s best footballers. Players move realistically with athleticism, improved balance and closer control, giving greater responsiveness and personality to your favourite stars. Run Touch Dribbling will let you keep the ball in a sprint or when looking for an opening in close-touch situations. Iconic players like Leo Messi will dribble and move like they do in real life. 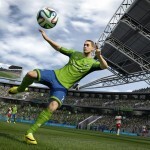 The movement of the ball in FIFA 15 changes the game. You’ll see accurate spin, curl and flight of the football as it moves realistically after each contact. Experience authentic ball physics while dribbling, passing, taking a touch or blocking a shot. Player Control is one of the core pillars of FIFA 15. 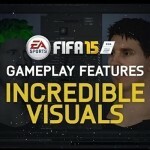 Check out more images at EA SPORTS FIFA 15 Agility and Control and Correct Contacts article.